Biohoney Deluxe Baby Range With Linen Bag contains all 5 of the Biohoney baby range products in a convenient linen bag. Designed for those who prefer a low allergenic and nutrient rich option for delicate skin. Gently wash your baby’s body with warm water, avoiding the eye area. 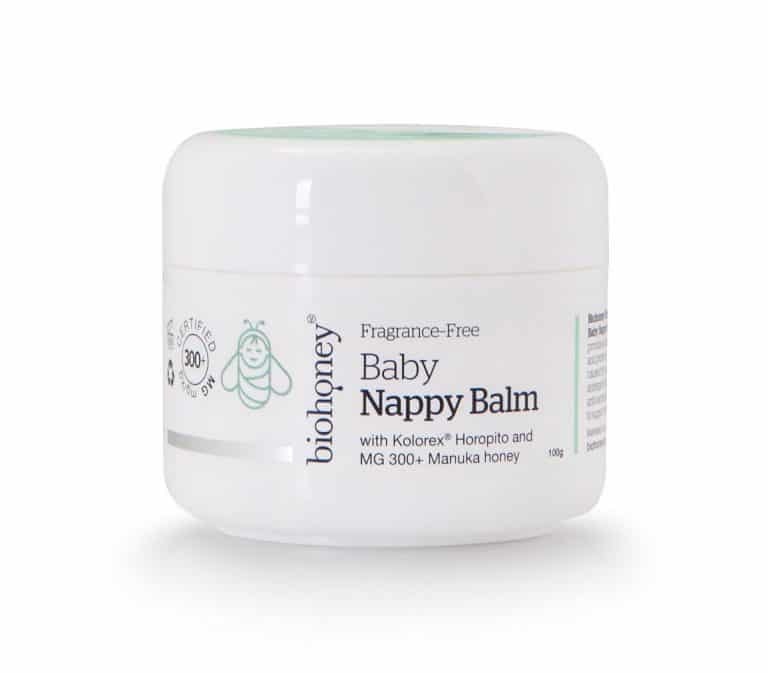 Clean baby’s bottom and apply balm with every nappy change to the whole nappy area. Dispense one or two pumps of shampoo into your hands and gently massage into your baby’s hair, avoiding the eye area. Dispense a small amount of body wash onto your hands and gently apply all over your baby’s body, avoiding the eye area. Thoroughly rinse skin with warm water. Gently apply all over your baby’s body after every bath time. If in contact with eyes rinse well.